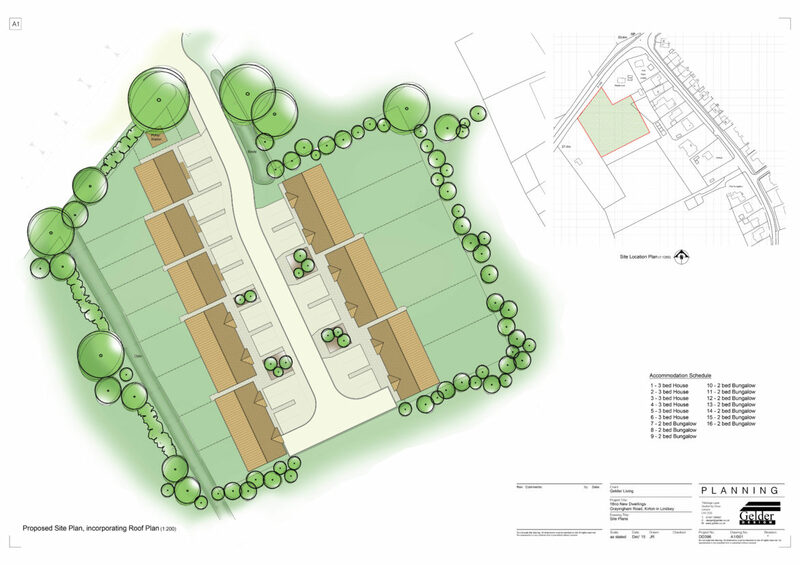 Gelder Group have received planning for 16 new properties at Kirton-in-Lindsey, the result of three years hard work and tenacity, dealing with a plethora of public bodies. The company now has a land bank of 47 plots as well as a further four sites at various stages within the planning system as it looks to rollout ‘Gelder Living’ and reintegrate itself within the private housing sector. Part of our 20 by 17 Vision was to become a developer of ‘high quality affordable homes’ and this hence has carried forward to Vision 2020 where we will be known for our ‘enterprising approach to new development opportunities’. So it was a good feeling to receive a positive inspectorate decision within hours of launching our Vision 2020. The Group will now liaise with various statutory bodies, before hopefully being in a position to commence the development in the Autumn.